Proteins make up a good portion of human bodies, they make up hair and nails as well as repair damaged tissues. There are also proteins used to make enzymes, hormones, and other chemicals within the body. 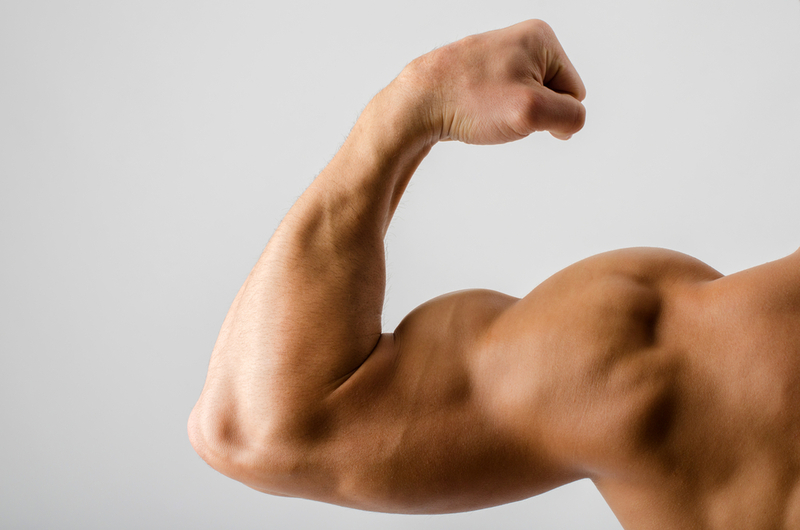 Protein plays a key role in building and maintain the strength of bones, muscles, cartilage, skin, and even blood. The reason protein is known to be a key component in working out is no wonder considering it repairs, maintains and builds muscles. How exactly does a guy go about building muscle and cutting fat using protein? To maintain a healthy protein intake for building muscle, consume 1 gram for every pound of body fat, that is equivalent to 2.2g/kg-3.3g/kg of body weight per day. For fat loss and cutting it’s necessary to have a higher intake than one would have for 1.2 gram to 1.5 gram per pound or 2.6 to 3.3 grams per kilogram of body weight. 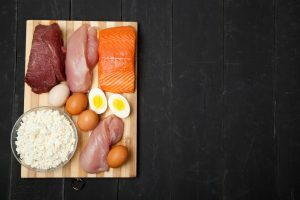 To get this protein there are many different avenues there is the store-bought protein shake, the classic egg shooter and a variety of foods to pick from. Among the plethora of foods that are loaded with protein some of the more popular are eggs, chicken breasts, oats, cottage cheese and tuna. Eggs are of the most popular high protein food used by body builders and the everyday gym goer. Just one large egg is loaded with 6 grams of protein, which is quite a bit for such a small morsel. 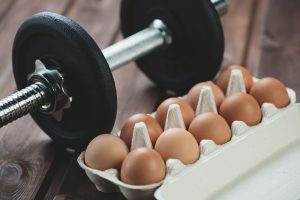 Eating about four to five eggs whether in a protein beverage or fried, maybe even scrambled is a great way to get a solid amount of protein into the start of the day. Being such a versatile food eggs are excellent mixed in just about anything, if looking to knock two birds out with one stone making oatmeal cookies is a good way to consume this high protein food as well as making different kinds of breads, which also contain a good amount of carbs; perfect for any kind of bulking, building experience. A total of 54 grams of protein lies within chicken breasts making them the ultimate lunch and dinner for the new workout guru and master trainer alike. These could be used in any dinner dish, make them with rice or broccoli, cook a breast up with some pasta or make a simple chicken sandwich with some organic mayo and season with salt and pepper. If looking for new ways to spice up eating chicken for bulking and cutting there are great chicken recipes online, Italian, Mexican, you name it. Chicken is quite easy to make but can also be easily under and overcooked. To ensure this food is cooked properly, watch whether the meat is too pink or raw, for the meat to be safe for eating it should have an internal temperature of 165 degrees. Oats are loaded with healthy fibers, magnesium, manganese, thiamin (B1) and more. Oats contain about 13 grams of protein per serving and are the easiest thing to cook next to eggs. To cook oats, it is a simple 2 cup:1 cup water to oat ratio, you boil the oats and water similar to how you would rice and add spices/seasonings as preferred. Some prefer brown sugar, vanilla and bananas, others like cinnamon, sugar and apples. Oats are versatile and can be used for things beyond oatmeal, whole oats can be used in making bread, muffins and cookies among other things. When it comes to liking cottage cheese it is either a dead on hit or a total miss, there really is no in between, this might have a lot to do with its curd consistency, but it is worth the strange texture to get maximum protein intake. Cottage cheese is a cheese curd essentially this stuff is made into dips, used as a companion snack with pineapple and other fruit, usually the jelly stuff. Cottage cheese is loaded with protein and a great eat with everything kind of food. You can have it with/for breakfast, with lunch, with dinner, for dessert it might be worth a shot throwing a few dark chocolate chips and pineapple in with it. Cottage cheese has 27 total grams of protein in one single serving, that is two servings of oatmeal, that is about four and a half large eggs. This curd is full of calcium, phosphorus, selenium, B12, riboflavin (B2) and other essential vitamins and minerals. Tuna fish is the top dog as far as the high protein foods mentioned before. This fish is versatile in terms of savory dishes, it could be the easiest or hardest fish to prepare based on the dish that is going to be cooked. Tuna can be cooked in a variety of ways, it could be used in a simple canned tuna fish salad, made pan seared (this is usually done with ahi tuna), used in fried fish tacos or maybe a tuna casserole. Everybody’s favorite fruit is one of the healthiest high protein foods and are extremely simple to prepare, simply go to your local grocer and grab an avocado. Avocadoes can literally be used in anything. It is becoming popular in some cities, like Portland, Oregon, to make mango avocado smoothies and some people enjoy them in ice cream. Along with the sweets comes the more traditional savory side of avocado, people make things like burritos with avocado, rice and beans, things like egg and avocado breakfast sandwiches and many more. Why are avocados so great for the body? Avocados are of the healthiest foods for humans, they have tons of monosaturated fatty acids and 3 grams of protein per one medium fruit. Fatty acids and proteins are the building blocks of the body and help build a great deal of muscle as well as provide the energy and fat to do so.